A Windsor woman gave Facebook users an inside look at cancer treatment Monday, by livestreaming her chemotherapy session and answering questions about what chemo is really like. Michelle Prince has had colon cancer since 2014, and is now in Stage 4 of the disease, meaning the cancer has spread to other organs in her body. On Monday morning, she underwent her 56th round of chemo to try to beat back the tumours for a while, and livestreamed the session on the Windsor Regional Hospital’s Facebook page. After so many treatments, Prince has become a bit of a first-hand expert on chemotherapy. But, like so many other cancer patients, when Prince went in for her first session, she had no idea what to expect. No one in her family had ever had cancer, and even internet searches didn’t give her much of an idea about what it would be like. So she walked into that first chemo session without any understanding of what was going to happen. “That deer-in-the-headlights feeling, and having no control over what was going to happen next, was utterly terrifying,” she told CTV’s Your Morning Monday from Windsor ahead of the livestream. “…So I thought if we could pull back the curtain today and show people what it’s like, people will think ‘ Ok, this is doable. I can do this’,” she said. Prince admitted that she fell for many chemo stereotypes herself, and thought the chemo centre would be filled with people with no hair, who were sick and vomiting. “When I got here, it was a completely different experience than I anticipated,” she said. Prince didn’t even know what it would feel like to have powerful medications enter her bloodstream. Would it hurt or burn? Would she get sick right away? Would she pass out? “There are so many questions. And our doctors are wonderful and our nurses are fantastic, but they can’t sit and answer your questions all day long,” she said. So she approached the Windsor Regional Hospital where she has been receiving treatment to ask if there was a way to allow newly diagnosed cancer patients and their families to see for themselves what it’s like. They came up with the idea of livestreaming a chemo session on Facebook. As Prince predicted, the chemo did fatigue her as the hour-long livestream went on. 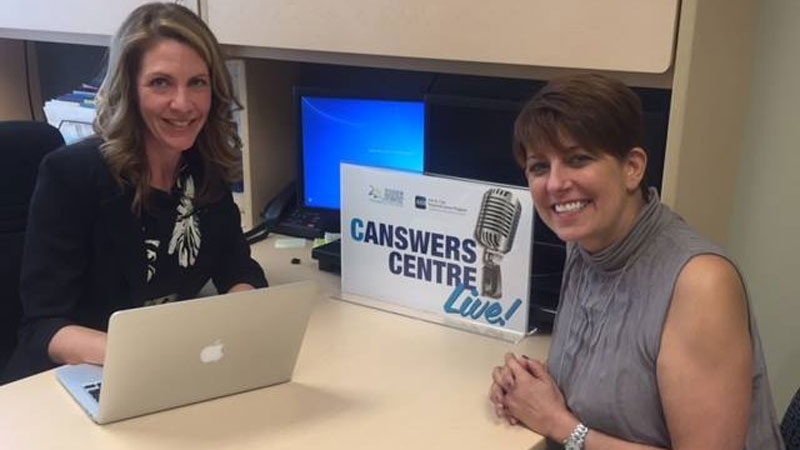 But she said during the broadcast that her aim was to show what chemo is like, answer questions, and maybe help ease the minds of other patients nervous about entering cancer centres. “I think that if people can take away that it’s not such a scary place, that it’s not all bald heads and vomiting in here, then we’ve done a big step forward,” she said.